Say Hello! to Nellie! 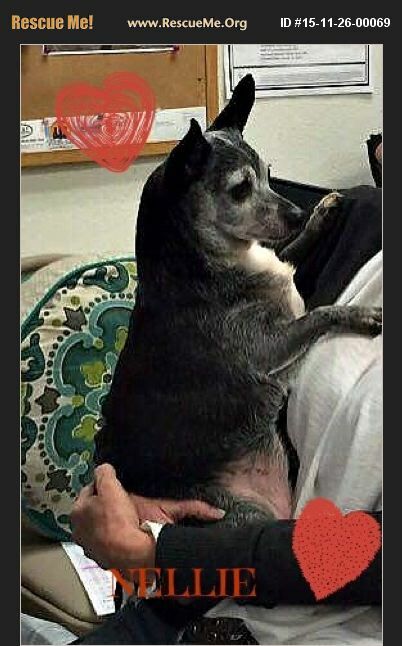 Nellie is an endearing young at heart low maintenance senior Chihuahua mix. She has none of the typical Chi characteristics. She's a wonderful companion dog for possibly a retired senior or senior couple. Nellie is so calm, loves everyone she meets, not a barker, gets along with cats, dogs and kids. She's a pleasure to have around and makes dog ownership easy! All of the volunteers who meet this little angel can't help but pick her up and cuddle her and Nellie just can't get enough of it! She s such a snuggle bug and just watches and waits patiently for visitors to please notice her and gives her some love and attention. Nellie walks right up to you without any effort - you will never guess she is her age as she doesn't act it at all. Words just can not describe what a sweetheart she is - so quiet and content to be loved on or just curled up with you on the couch while you're watching television or reading a book. She is approximately 10 years young with no health issues and has many great years of life to live and love to give. Nellie is spayed, Vet checked, vaccinated and microchipped.